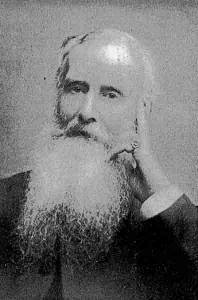 Richard Carr Kirkpatrick was the son of an Irish landowner and a friend and firm disciple of Dr Edward Bouverie Pusey who, with Keble and John Henry Newman, was one of the great Tractarian figures. Fr Kirkpatrick was curate of S. Mary, Kilburn but in 1867 a new Vicar was appointed who was unsympathetic to the Catholic worship that he found there. Encouraged by a resolute and united body of lay people, Kirkpatrick resigned and received permission from the Bishop to found a mission district in the southern part of Kilburn. At first the group worshipped at All Saints’ Margaret Street but in 1870 a swampy piece of ground was obtained for the site of the new Church of S. Augustine. The Eucharist was first celebrated in a room in Andover Place; in 1871 a temporary iron church was erected and the foundation stone of the chancel laid.